The grills have varying prices. They range within $150-$1500. The grill you buy will depend on the budget that you have. 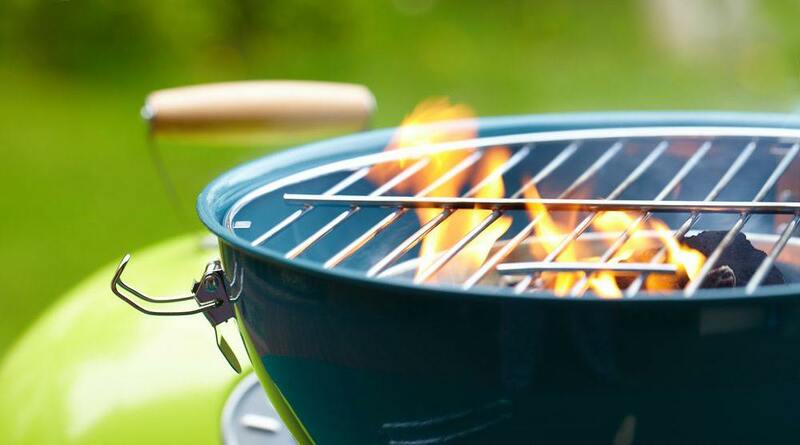 Most gas grills may not come with the propane tank. You may have to pay extra for the tank. Choose the one that you can easily afford. The size will depend on the food that you will be grilling, the number of people you will be cooking for, and the available space in your kitchen. Choose a smaller grill if you will only be cooking for few people. Considering the amount of space available is very important. Different grills are made of different materials. Some models are made of stainless, cast aluminum, or cast iron. Stainless steel has different grades. Some grades are of high quality and others are not resistant to corrosion and rust. Cast aluminum is resistant to rust. 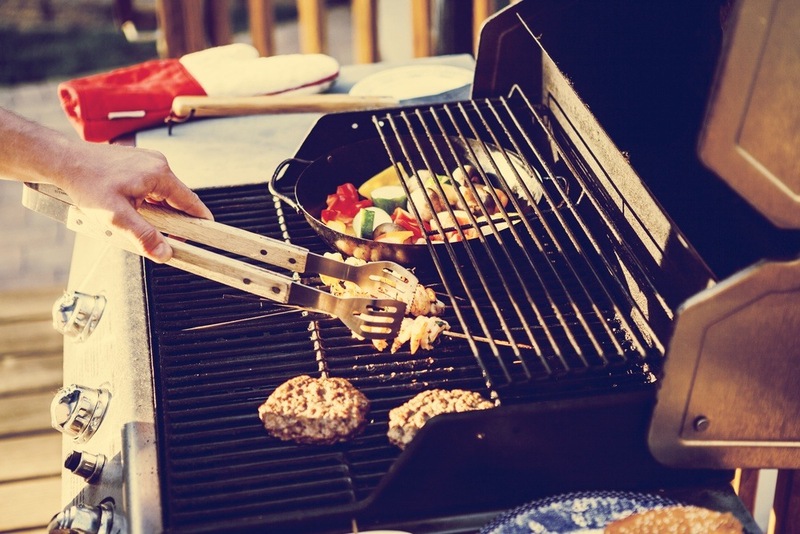 Ensure that the grill you choose has durable grates. The grates should stand extreme heat without chipping. Cast iron grates are strong and durable. Heat is distributed evenly and they can stand high heat. The coated grates are easier to maintain and cannot chip easily. Most grills come with features that are fancy. They include sear burners, side burners, smokers, infrared technology, baffle systems, and others. Consider a grill that has the features that you will need. The grills with the fancy features may be more expensive than others. 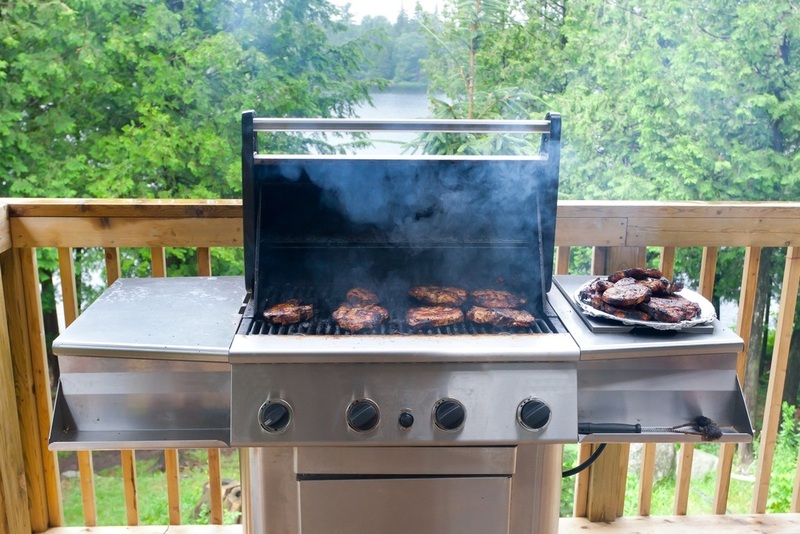 Avoid spending more money on these grills because you may never use such features. 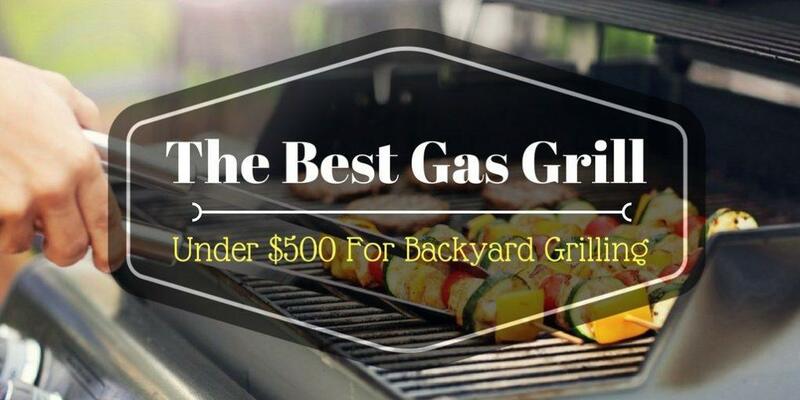 The best gas grills on the market that you can consider. Ensure that you choose the best. The control panel is at the front. The two stainless steel tables can be folded down for storage and maneuverability. It is compact and can be used to cook up to a 20-pound turkey, vegetables, or other meats. The grates are made of porcelain enameled cast iron. They can retain heat perfectly and are easier and simple to clean. The porcelain enameled shroud is resistant to rust, fade, and peels. The electronic ignition crossover system is used to light the two burners by touching the igniter button once. The fuel gauge is easier to read. This will let you know the amount of fuel that is available. It does not come with a tank. It is not assembled but is easier to assemble it together. The grates are made of cast iron that is porcelain-enameled. This makes them easier and simple to clean. You don’t have to season them. The ignition crossover system can be started by just pushing the button once. The cooking area is large enough. It measures 450 square inches. The set has a fuel gauge, 6 tool hooks, a grilling guide, user’s guide, and a limited warranty. It has two burners that are made of stainless steel. Other features include the side tables that can be folded when not in use. It has a large cooking area. The flavorizer bars, enclosed cart, the shroud, and the center-mounted thermometer are made of porcelain-enameled. They cannot peel off, fade, nor rust easily. It has precision controls that you can use to control the level of heat for indirect or direct cooking. There is proper circulation of heat. This ensures that the food is cooked evenly. The burner tubes can stand the amounts of water that is found in the natural gas and the liquid propane. This is because they are made of stainless steel that is high-grade. They are not welded. This makes them stronger and resistant to burn-through and rust. It has a grease management system. It has a catch pan and grease tray. They prevent the grease from catching fire. They can be cleaned easily. The fuel gauge will let you know the amount of fuel that is available. It may start chipping and flaking after some time. The plastic knob may break frequently. The metal used is very thin. This is ideal for larger families. It has all the things that you may need in any grill. The performance is excellent. The cooking area is 489 square inch. The warming rack is 180 square inch. All these will ensure that you have enough cooking space. The burners are durable and powerful. They can heat up easily and quickly to ensure that the grilling process is even. This gas grill has a push-button for starting, lid mounted temperature gauge and large wheels that makes transportation easier. Across the 4 main burners, it has 40,000-BTU, 10,000-BTU on the side burner. This makes it ideal four cooking sauces and sides. The metal side shelves are large and painted. They offer more workspace. The lid, handle, fascia, and the control panel are made of stainless steel. This makes the grill durable and adds style. It has a large cooking area. It is about 660 square inch. The electronic ignition system ensures that you have a reliable spark with all the pushes. The grill can be used to cook for more people. This is because it has 4 burners that are made of stainless steel. The grates are porcelain coated. This makes them resistant to rust and easier to clean. The wheels ensure that mobility is easier. An easy push will light your grill. The igniter is electronic. You don’t need matches. The burner on the side can be used for preparing side dishes and warming sauces. The lid can be flipped down to provide more working space. The temperature gauge is conveniently located to monitor the grill temperature in the inside. The grill is versatile. It can be used to grill the fine foods. The stainless-steel loop burner offers the solid grilling performance. The cooking grates are made of cast iron that is porcelain-enameled. It is small and compact which is ideal for small families. It has stainless steel shelves that can be folded. The carry handles make it convenient to transport the grill. You can easily grill foods like vegetables, pizzas, bread and other delicate foods. The grill has a temperature gauge that is precision and an ignition system with a twist start. The modular grill system is a series of specialized grill surfaces that are interchangeable. The panels can be removed easily for storage and cleaning. You can easily grill foods like vegetables, pizzas, bread and other delicate foods. The cooking grates are porcelain enamel coated. The stainless-steel loop burner offers the solid grilling performance. The modular grill system is a series of specialized grill surfaces that are interchangeable. The panels can be removed easily for storage and cleaning.The side shelves can be folded to provide more work space. It cannot maintain a constant temperature. It cannot grill past 300 degrees. It cannot be used in windy places. The two openings may lower the temperatures if the weather is windy. This is an outdoor grill or griddle. it can be used to cook for a large number of people. This is popular for cooking in the backyard. It has a large cooking area of 720 square inches. It is perfect for preparing everything for breakfast, lunch, and dinner. You can cook eggs, grill cheese, potatoes, steaks, quesadillas, pancakes and other foods. It has two shelves on the side and one at the bottom. They can be used for storing and preparing food. It is easier and simple to assemble this grill. It has an easy electronic ignition button for starting the grill. You don’t need matches. It has wheels which you can use to transport the grill around the yard. The griddle top is removable and the legs can be folded. The grill can be assembled easily to save you time. It can be transported from one place to another easily. This is because it has wheels.It has a large cooking area. It has a large cooking area. You can easily prepare enough food for a large number of people. It can be used to cook everything from eggs to grilling steaks and potatoes. The grill is constructed to last. The burners are made of stainless steel with a steel cooktop. The grill/griddle is easier and simple to clean. The heat zones can be controlled easily. This is because it has 4 burners that are controlled independently. This will give you different cooking options. It is fueled by propane. It has a standard tank with its storage space tackled under the shelf. It has an easy electronic ignition button for starting the grill. You don’t need matches. It does not get very hot. Among the above reviews, the ﻿﻿char-broil classic gas grill is the best. This is ideal for larger families. It has all the things that you may need in any grill. The performance is excellent. The cooking area is large enough to cook more food. The burners are durable and powerful. They can heat up easily and quickly to ensure that the cooking process is even. This gas grill has a push button for starting, lid mounted temperature gauge, and large wheels that makes the transportation easier. Across the 4 main burners, it has 40,000-BTU, 10,000-BTU on the side burner. This makes it ideal four cooking sauces and sides. The grates are porcelain coated. This makes them resistant to rust and easier to clean. The wheels ensure that mobility is easier. An easy push will light your grill.. This is because the igniter is electric.You don’t need matches. You can also learn how to cook potatoes on the grill easily.